It’s time to introduce some Croatian teams! Jarun Cup is a tournament with quite significant number of home teams among which there is a Croatian oldest women’s club - WBHC Kontesa Nera. They will start their season with our tournament – who knows, maybe this season will be even better that the previous one :) We took advantage of having short interview with Kontesa's team leader – Sanja Horvat and asked for both 2018 season goals and past achievements. 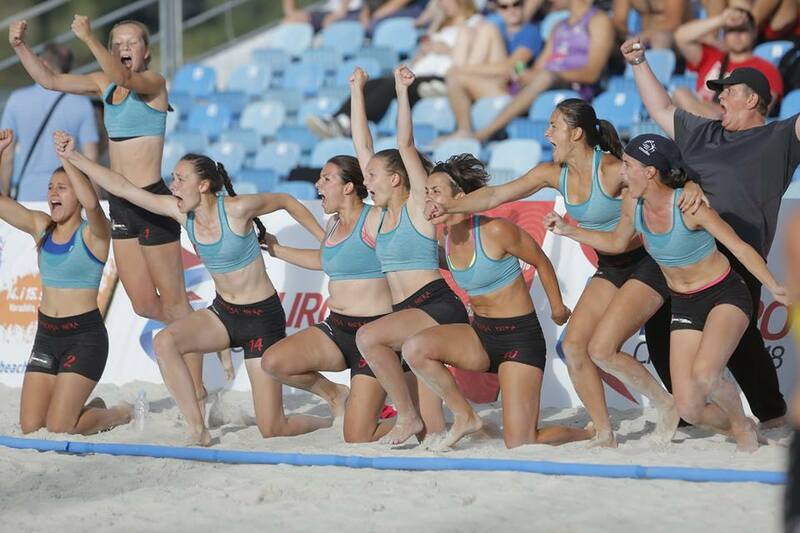 Tell us few words about your club – the history, number of players, do you play together only beach handball or indoor as well? The club has been founded in 2004, since then with bigger (or smaller) successes we’re taking part in Croatian Championships, EBT Masters and international tournaments every year and together with that we’re always giving full heart and love to what we’re doing. We have 15 players but we’re playing together only beach handball. Girls are playing indoor in variety of clubs. Last season was very successful for you – you won Crotian Championship and took part in EBT Masters. How you, in your words, would sum up 2017 season? Last year, we have participated in EBT Masters and achieved there 7th place, won Croatian Championsip trophy and took part in couple of international tournaments with great results. Due to all of that we can say 2017 season was extremely successful. What goals do you have for 2018 season? The main goal is to repeat what we’ve achieved in 2017 – we have more sports knowledge now and with a bit of luck we believe we can even improve the result.